As well as the Wellenlange mistype on the label some copies (not sure how many) have Vom Himmel Hoch spelt correctly on the label, but mistyped as Vim Himmel Hoch on the inside of the original gatefold sleeve. This mispelling was duplicated on the 2005 unofficial reissues, but they do not have a gatefold sleeve. Mine is an original, albeit quite tatty, with swirl inners and labels, and was bought SH mid 80s (so not a bootleg). Strange case of an original reissue, as this is a package of the two first Kraftwerk albums, already released in Germany before as Kraftwerk 1 and Kraftwerk 2. Although Kraftwerk is most remembered for its synthesizer spaghetti, these albums prove that there is more to them than you may have realized. The first album indeed incorporates avalanches of electronics, but hardly any synths. Flute and organ rule. Embryonic forms of later developments are found, like short-ridden rhythms, a narrow harmonic horizon and mechanically affected repetitions. But at times the music veers towards sonic landscapes, industrial sounds inclusive. Where a drummer is heard, both Can and Faust come to mind, but mostly there are alternatively serene and unsettling carpets of sound. This must have sounded completely non-commercial in 1972. By ditching the drums, the second album is only rock by far-fetched association and there is in fact nothing left to connect this music to any anglo-american styling. Some Asian influences can be determined on ''Klingklang''. Much more extreme is ''Atem'', that consists of almost three minutes worth of a breathing human being, slightly electronically altered. A far cry from anything that ressembles the blues! ''Strom'' is a lesson in complete immobility. These courageous attempts make Kraftwerk worth remembering, much more so than their robotics of later date. Following on from DJ343's comment, the release 'Doppelalbum' is an entirely different Vertigo compilation of Kraftwerk's earlier material. 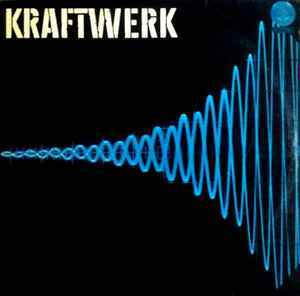 It should not be confused with this release which was basically Kraftwerk's first two German albums (Kraftwerk 1 and 2), released for the UK market in a gatefold sleeve. Two different labels are in circulation for this release, one is the standard Vertigo symbol as used on all their 70's releases, the other is the rarer white label with black spirals which become very hypnotic if watched while record is spinning on turntable!